Bongo International is a 3rd party service that allows customers outside of the United States to sign up for US forwarding addresses, which they can use when shopping on eCommerce sites. 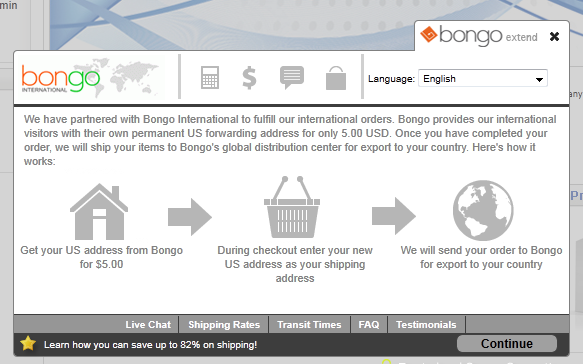 During checkout, customers can enter the US address that they got through Bongo, so your site doesn't have to worry about handling overseas shipping! Ship the customer's package to the address they entered, and Bongo will forward it on to the customer overseas. 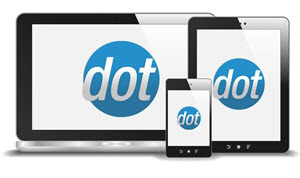 As of version 9.2.0.0, MultiStore integrates with the Bongo Extend service, which allows US stores to tell customers about this great service through the eCommerce site, and easily expand the site's customer base to non-US countries, all at no cost to the site owner! - First, set the Bongo.Extend.Enabled AppConfig to true, and reset the cache.